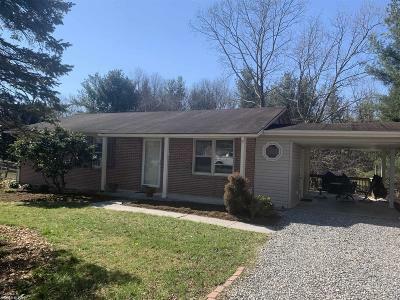 Lovely ranch in Christiansburg, located minutes from shopping and dining. House features 8 foot ceilings and a large eat-in kitchen with newer flooring and a large pantry. Spacious carpeted living room may include the TV. With 3 main level bedrooms and a bath and a half, this well-kept home lives well. Great deck for family gatherings or summer BBQs located next to the carport/patio. Super cute mudroom makes organization easy! Expansive basement/workshop includes built-in shelves, workbench and wood stove. Enjoy outdoor living in a huge fenced-in back yard, with a high-quality project shed. Additional storage shed may be found outside next to the carport. Close to VT & convenient to Christiansburg, Radford, shopping and more. This home is neat, clean and ready to move into! Directions: From 114 Take A Left On Rolling Hills Dr, Right On Plateau Dr, House Is On The Left.